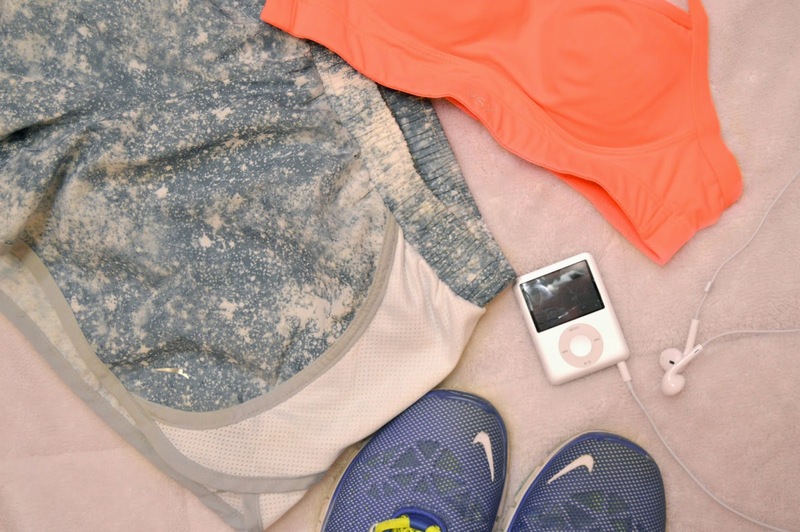 Working out for me always felt like a chore, something I felt I had to do, not wanted. But lately I'm all about it. My workouts consist of two routines, running and Pilates. I try to keep my workouts under a half hour as I have noticed my attention span for working out just starts to dwindle after thirty minutes. Running is something I have a love hate relationship with. I do find that running is therapeutic for myself, but finding time to run is just difficult because I hate running indoors. However, I live right near a running trail, that makes going for runs a lot easier. My tip for running is try to keep a consisting jog for fifteen minutes and slowly work your way up. I like to look at time not distance, but there are some who do the opposite and look at distance not time. I've recently gotten into Pilates, I like it because it has a higher tempo than yoga. I watch videos on YouTube and follow along one of my favorite channels to follow along with is Blogilates. I really like Cassey's energy, she's great. If you guys are looking to get into Pilates I totally recommend checking out her channel. What's your workout routine, look like?